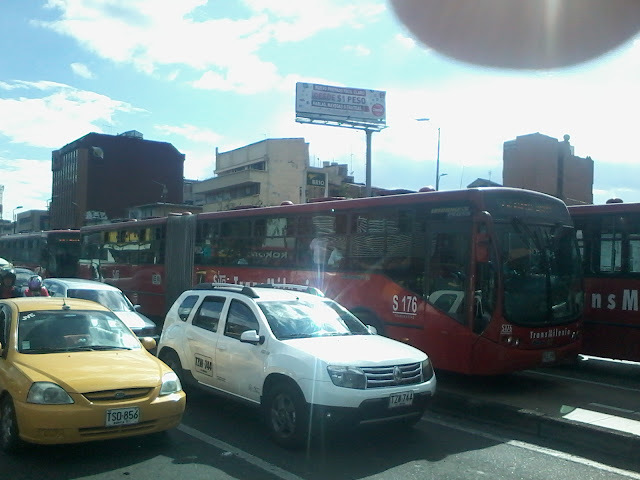 Rush hour in Bogota, with car-filled streets and jam-packed buses made me think of today's word: "live". With all the cars and buses rushing by I was reminded of all the millions of lives being lived in a city as big as Bogota. Busy corner not too far from our house during rush hour. Photo by Curtis Kline.